I don’t know about you, but I like to know about the food I eat, and what nutrition is in it. I guess it is a little hobby of mine. 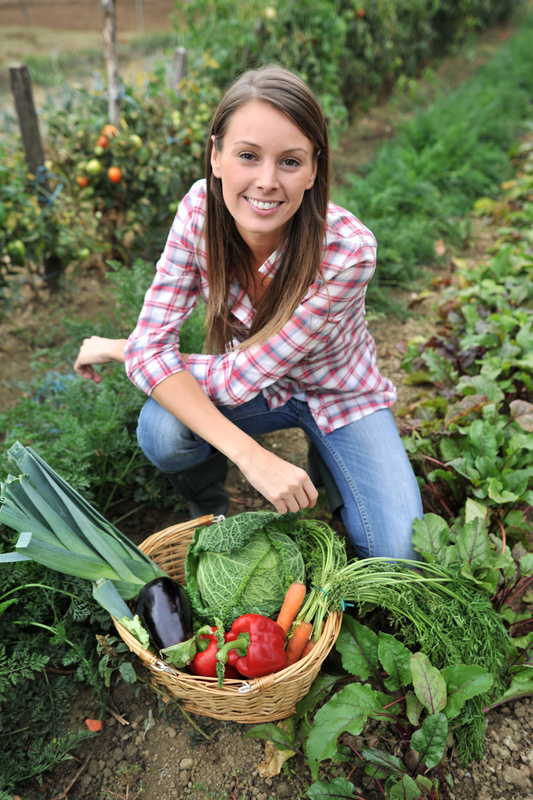 If you are going to plant a garden, and only can or want to grow a few items, why not grow those packed with the most nutrition and are EASY to grow? With a little effort, you can see how easy they can be to grow. AND improve your health at the same time. Tomatoes: one of the most commonly home grown veggies, once tasted, you will see why. I almost never buy store bought tomatoes because I have been so spoiled by the home grown. Someone who claims to not like tomatoes might very well take that back once they have something with a homegrown tomato in it. Be it a hamburger, salsa, marinara sauce or even tomato soup. When you grow your own tomatoes, they have an amazing amount of nutrients compared to the store bought ones. They are picked too early and shipped long distances- reducing what little nutrients they were able to get before their early harvest. Great source of Vitamin A, E, C and Fiber and Omega 6 Fatty Acid. They are known for thier cancer fighting qualities, but also are great for keeping blood pressure in check. Broccoli: Very easy to grow, and can grow in a limited space with no problems. The only tricky part is making sure to harvest the head before it starts to flower. You don’t want to harvest too early if it is still growing, but if you wait even a few days, the flowers will open and it doesn’t taste as good. 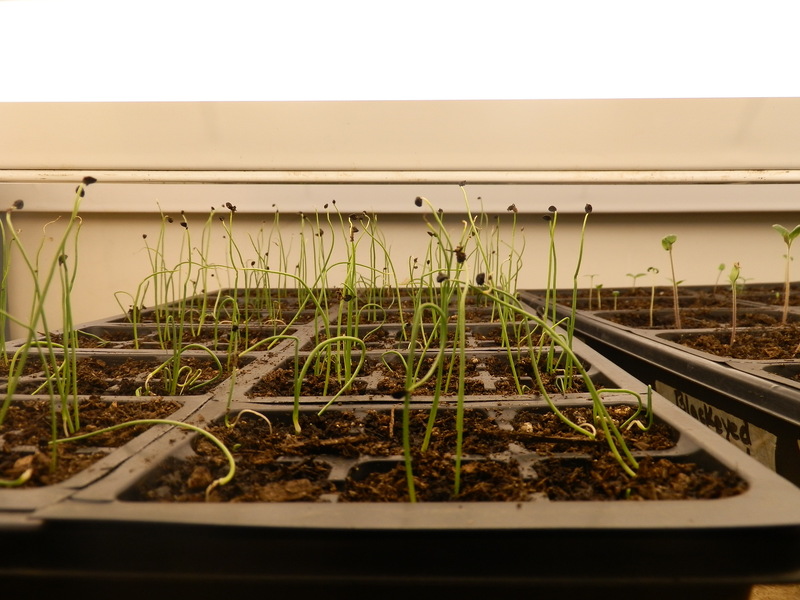 Just keep it growing fast, but providing enough water and nutrients and you will have a great tasting broccoli. It will produce some smaller heads after the first is harvested. You can make cream of broccoli soup, eat it raw, or serve it steamed. Broccoli has even more nutrients than tomatoes: a very good source of Vitamin A, Vitamin C, Riboflavin, Vitamin B6, Folate, Magnesium, Phosphorus, Potassium and Manganese. And it even has protein! They are great for reducing risk for lung, stomach and rectal cancers, and boosting immune function. Carrots: Carrots are fun to grow, because you sow a little seeds, and let them grow. Just make sure the soil is not too compacted as this will limit their ability to grow downwards. They do not take up much space in the garden and last a long time after they are harvested if you cut off the greens right away. You can grow enough to last a few months in the winter! Carrots area very good source of Dietary Fiber, Vitamin A, Vitamin C, Vitamin K and Potassium. Renowned for their ability to improve eye skin and hair health, but also are packed with anti oxidants and are great for cardiovascular health. Spinach/Kale: I will group these together because they are both greens and very healthy ones at that. Both are easy to grow and can be harvested over and over again on the same plant before having to replant. Spinach likes to go to flower in the heat of summer and this makes the leaves bitter. A great way to have an instant salad, but also great to freeze and then add to smoothies to boost the healthiness of the smoothy! Spinach is a very good source of Dietary Fiber, Protein, Vitamin A, Vitamin C, Vitamin E (Alpha Tocopherol), Vitamin K, Thiamin, Riboflavin, Vitamin B6, Folate, Calcium, Iron, Magnesium, Phosphorus, Potassium, Copper and Manganese. And because it is so packed with nutrition, it helps with just about everything. No wonder Popeye liked it so much. Kale a good source of Dietary Fiber, Protein, Thiamin, Riboflavin, Folate, Iron, Magnesium and Phosphorus, and a very good source of Vitamin A, Vitamin C, Vitamin K, Vitamin B6, Calcium, Potassium, Copper and Manganese. Peppers: hot peppers, bell peppers- any pepper you choose. They are all packed with nutrients. They also have smaller plants than their tomato cousins and so can easily be grown in a container. There is such a variety of uses for them, but we like to grow them for salsa and salads. Bell Peppers a good source of Thiamin, Niacin, Folate, Magnesium and Copper, and a very good source of Dietary Fiber, Vitamin A, Vitamin C, Vitamin K, Vitamin B6, Potassium and Manganese. They carry the nutrients that are great for preventing cancers. Squash: Summer squash, and winter squashes all have a great deal of nutrition. They do get diseases, however you can usually still get a great harvest from them before the disease takes over too much. If you want to have a high producing plant that is hard to eat all that it produces- grow a zucchini plant. Great to cook in stir-fry, eat fresh, add shredded to salads, ect. Zucchini gives you a good source of Protein, Vitamin A, Thiamin, Niacin, Phosphorus and Copper, and a very good source of Dietary Fiber, Vitamin C, Vitamin K, Riboflavin, Vitamin B6, Folate, Magnesium, Potassium and Manganese. They are anti inflammatory, thus good for inflammatory diseases like arthritis. Onions: Onions are another one of those sow a few seeds and watch them grow. Then you can harvest them and save them for the winter months. It is possible to grow enough to last the whole year until your garden produces more. I don’t need to get started on how to use them, as they have such a great ability to enhance the taste of foods and meats. Onions are a good source of Dietary Fiber, Vitamin B6, Folate, Potassium and Manganese, and a very good source of Vitamin C.